Stopped in for a late lunch; it's right on Main St across from Peck's grocery. It's not fancy, but they did a very good job on our burgers and fries. We go often for the homemade soups, eggplant salad ( delicious) and hamburgers. In fact they have a fantastic cook. But no atmosphere and no wine list! 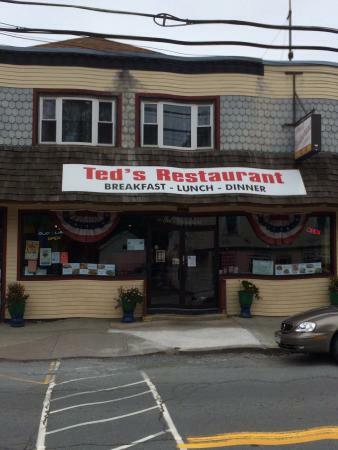 Get quick answers from Ted's Restaurant staff and past visitors.